For food lovers, to explore the earth while indulging their palate. 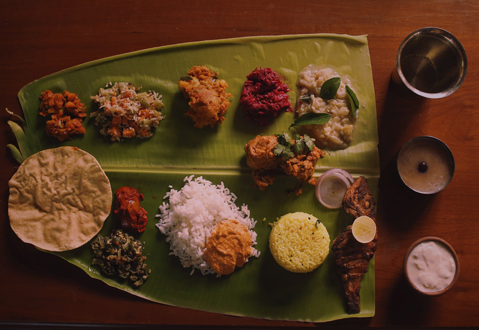 A flavourful 10-day journey across South India. 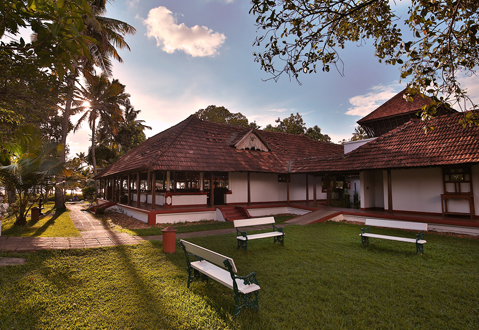 Arrive Cochin and check-in at the Brunton Boatyard. A special welcome brunch has been laid out, consisting of a spread of South Indian and Keralan specialties. Relax by the poolside to let everything settle in. 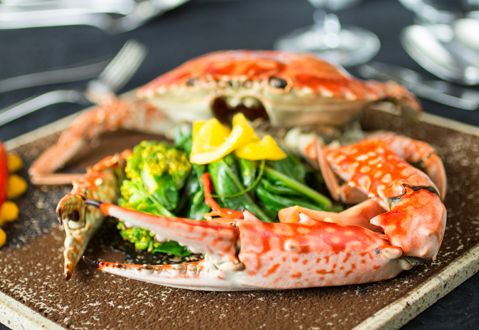 Later, enjoy dinner at a local restaurant where you’re served a selection of fresh local seafood. Walk back to the Brunton Boatyard for well-earned sleep. 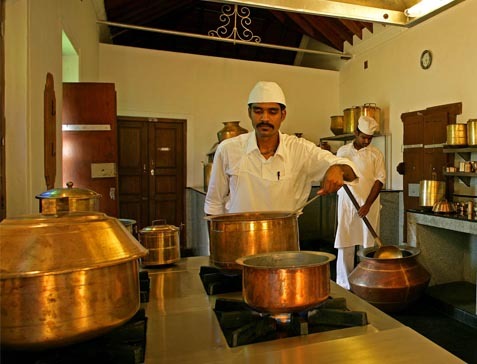 After breakfast, you’re ready for another day of ambling down the bylanes of Fort Cochin. The morning’s walk will take you way back in time, through the historical Mattancherry Palace, David Hall and the old Moslem quarter. Lunch is at one of the Cochin’s oldest eat-outs, “Kai-Ikka”, a popular Moslem eatery famous for its biryanis. 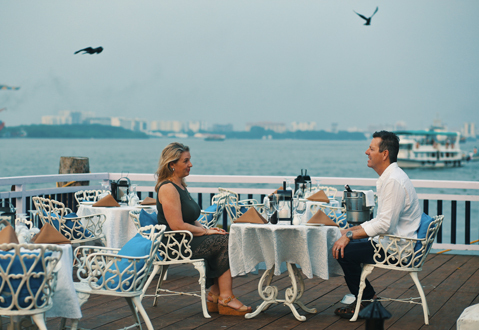 In the evening, relax by the poolside, or take a sunset cruise followed by dinner, a gala event with a choice of Indian wines and a selection from the “History Menu” – a collection of old recipes put together from Fort Kochi homes. Proceed to Puthenangadi on the banks of the Lake Vembanad. Enjoy a freshly-plucked tender coconut before boarding a traditional Kettuvallam. 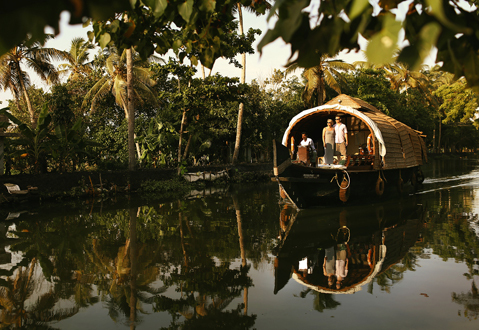 As you glide gently along the the backwaters, two meals are prepared on board just for you, freshly caught scampi grilled in curry sauce, karimeen, backwater duck roast, tapioca and steamed red rice. There’s plenty of chilled beer and wine on board too. Drop anchor for the night. Enjoy a sumptuous breakfast before arriving at Coconut Lagoon, a very special “Curry Lunch” has been prepared for you, a feast served on a banana leaf. In the evening, explore up-river on canoe or simply watch the sun go down from your deck. Round up the day with an interactive cooking demo, followed by dinner with the chefs. Take a short boat transfer and then drive to Periyar. On the way, stop by at Planters Residence where your host lays out traditional lunch at the bungalow along with the family. 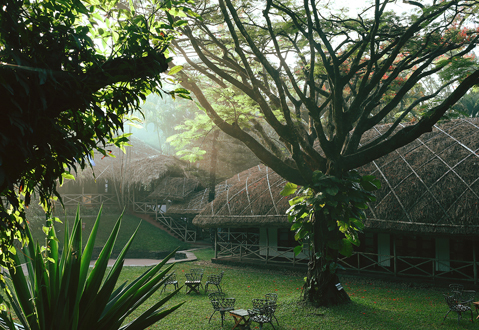 Located 2000 metres above sea level, built as a tribal village, the Spice Village is a perfect example of living in harmony with nature. Dinner at the 50 Mile restaurant, everything served here is grown within a fifty-mile radius. You’ll be surprised at what wonders this can achieve for both the planet and your palate. Start your day with a walk through the jungle in the company of a naturalist and a guide from the local tribal community. On your return, indulge in a brunch prepared with spices and herbs. Visit one of the spice farms where you learn about the history of these spices and the riches they brought to Kerala and the country. Later in the evening, go for a walk in Kumily town with its quaint shops selling fresh spices grown in the neighbourhood. Attend an interactive cooking demo with our chefs, followed by dinner. After breakfast, drive to Madurai, famous for its colorful Meenakshi Temple. After which, there’s lunch in a typical Tamil Nadu restaurant in Madurai before you continue to Visalam. It’s been a long day, spend the evening by pool before dinner. A classical music concert has been arranged as an accompaniment to your meal. After breakfast, visit the weekly market called Vaara Sabdhai with the chef where greengrocers, fisherfolk and fruit vendors display their wares under colorful canopies. Back at the hotel, join our kitchen staff in preparing your lunch which, as per tradition, is served in the kitchen. After lunch, a visit to the handloom weavers of Chettinad is in order. 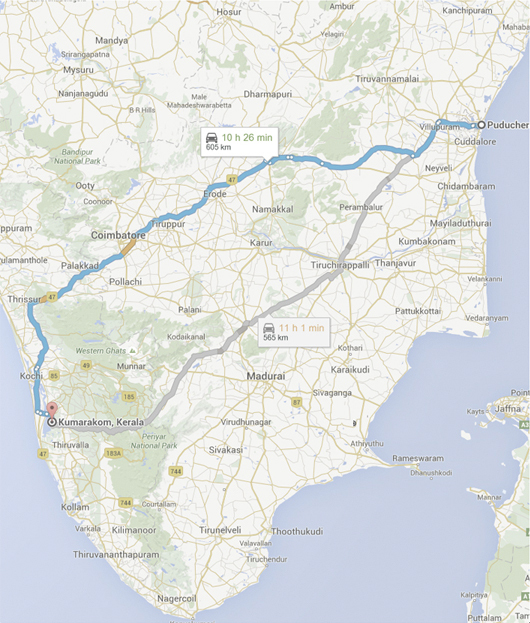 Today’s drive will take you to the east coast and the Union Territory of Pondicherry. On leaving Visalam, you visit Thanjavur, a town known for its great Chola temples, the most impressive amongst which is the Brihadeshwara temple located in the center of the city. After a pit-stop for a typical South Indian vegetarian lunch, you come to the next high-point of your journey: the great Chidambaram temple. Said to be the birthplace of Shiva as the dancer (Nataraja), this temple is located upon Earth’s magnetic equator and thus considered by some to be the center of the world. Reach Pondicherry and check in to your luxurious room at the Palais de Mahe. Once you’re settled, take a walk down old Pondy to one of the popular local restaurants for dinner. Pondicherry is a wonderful town with a long and interesting history of trade and war. You can explore this history by foot or bicycle. Visit the Aurobindo Ashram, the French, Christian, Hindu and Muslim quarters, the incredible colorful main market, the beach promenade and the Ganesha Temple. 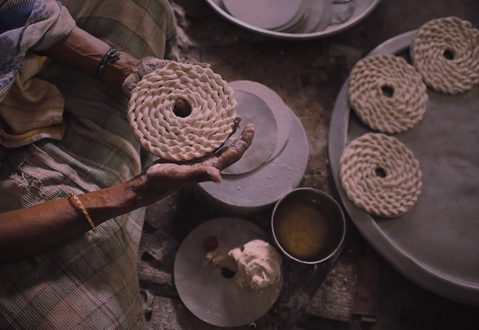 Drop in at the Aurobindo paper factory, and the Auroville Store. En route, have a cup of coffee at the Kafe Express, or some French food at La Maison Rose, a treat that’ll transport you to old Europe. Lunch is served at Maison Perumal, our boutique hotel in the Tamil Quarter, and a gala farewell dinner awaits you at Palais de Mahe to put a fine finishing touch to your culinary tour of the south. Breakfast and transfer to the airport, on your journey back home. For food lovers, to explore the earth while indulging their palate. En-route flavourful experiences across South India. Accommodation for 10 nights with CGH Earth in Standard Rooms. All taxes for the room and food. Airport Transfers (Arrival and departure). All ground transfers between places. All your meals at the resorts and on the houseboat. A CGH Earth Chef will accompany you on the entire journey (Subject to a minimum of 10 guests in the group). An English speaking guide throughout your journey. Entrance fees at monuments and national park. Cooking classes and lectures from our master Chefs (One exclusive session per day). All Beverages during your meals. Additional Beverages that are ordered out of meal times. Visa for India and Travel Insurance. 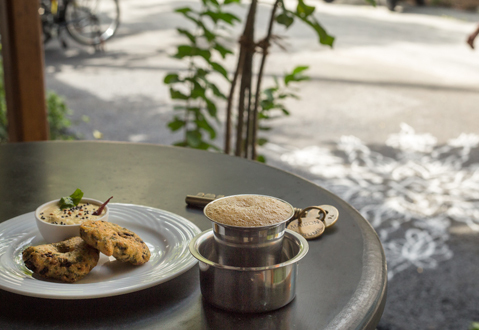 No discovery of India is complete without a detour through its culinary landscape. And the most celebrated dishes on this landscape are often the simplest. The intention of the CGH Culinary Tour is to show that real Indian cuisine is both delicious and down-to- earth. The tours, under the unhurried guidance of a chef, involve not just eating wonderful Indian food, but also visiting the places of their origin. You’ll sit at restaurants in Karnataka, Pondicherry, Tamil Nadu and Kerala and take your time to enjoy the cuisine, the ambience and the company.